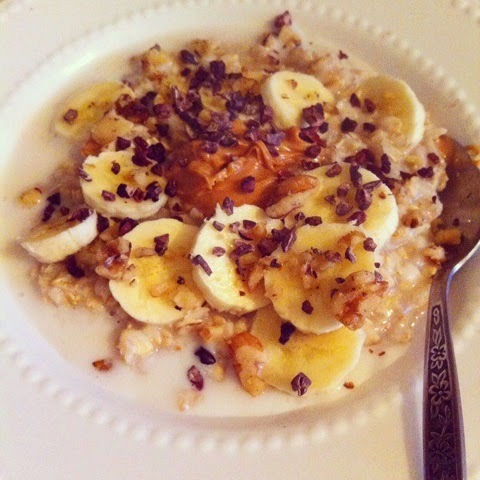 On this cold winter day in November, how about a warm bowl of oatmeal!! It's filling and yummy. Well, Black Friday shopping has come and gone and I'm happy to report I didn't participate in any of it!! I'm definitely not an early riser and don't care to shop in chaos. Isn't there enough insanity in the world that people really feel the need to throw themselves on a big screen T.V. 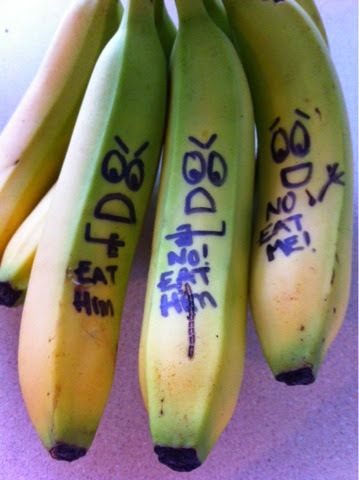 and then be peeled off one by one and handcuffed! Well, I guess some folks were successful and proud of their bargain finds. Personally, I'm a supporter of Small Business Saturday. 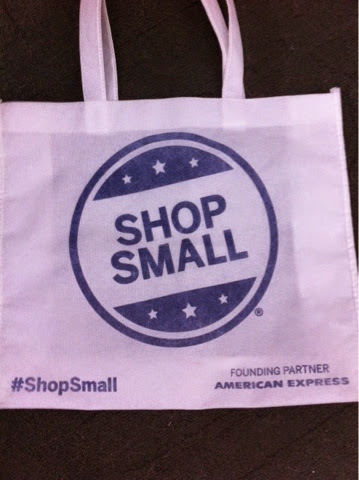 https://www.americanexpress.com/us/small-business/shop-small/. Supporting the local mom and pop shops in the community who work hard to make your shopping experience unique with great personal service. I purchased a hand carved tree by a local artist. It's wrapped in vines and lights and I didn't even have to body slam anyone to get it. In fact, I peacefully enjoyed a sample of peppermint schnapps and hot chocolate in this store. Hello...Black Friday or Schnapps? I wasn't even handcuffed!! That deserves "a square of chocolate." Check out the Farmer's Daughter website for more info on their handcrafted items. 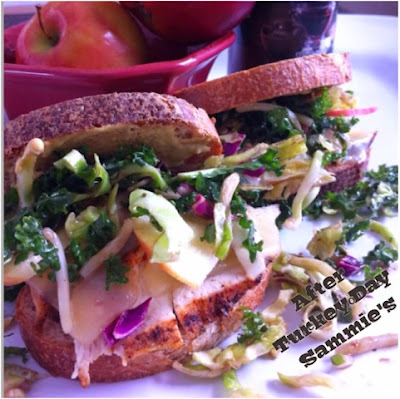 Leftover Thanksgiving turkey sammie's anyone? I sliced up some turkey breast and placed on toasted thinly sliced wheat French bread. Added 1/2 slice of Swiss cheese to each sammie, then back in toaster oven to melt cheese. Meanwhile, mix 1 Tbsp of Greek vinagerette to about a cup of your fave slaw mix. Thinly slice 1/4 apple and put on toasted turkey. Squirt of Dijon (optional) and top it off with your slaw mix. So crunchy and tasty! How about another piece of pecan pie too? Yes please!! !